PNG Power Limited has a new acting managing director. She is Carolyn Blacklock. Ms Blacklock replaces Alex Oa, who had also served the post on an acting basis. The Post Courier says, Blacklock took office on Tuesday. 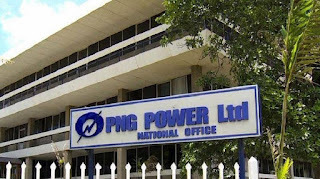 The newspaper sighted a National Executive Council decision which made the appointment with effect from December 22 last year, under the Kumul Consolidated Holdings Act of 2002. Ms Blacklock has been been the International Finance Corporation resident representative in PNG since 2010. Throughout the 1990s until 2010, she held senior positions in both Westpac and ANZ banks covering the Pacific-Asia region.